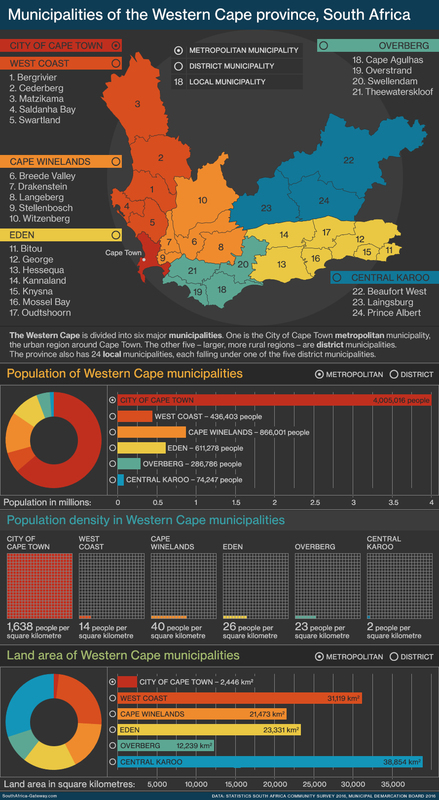 The Western Cape is divided into six major municipalities. One is the City of Cape Town metropolitan municipality, the urban region around Cape Town. The other five – larger, more rural regions – are district municipalities. The province also has 24 local municipalities, each falling under one of the five district municipalities.